There are many weeks when I have been found cheering that we’ve finally reached Friday and the weekend is in sight – “Yes, thank goodness it’s friday” has been hot on my lips. Today is a Friday, it’s what we call Good Friday, for different reasons that above! Easter is significant in our house. Yes, Reuben LOVES the idea of the Easter Bunny, has been nagging me for weeks in Asda for “just one…pleeeaassee” of the eggs on display and far too much chocolate has already been consumed! But it’s also a special part of our faith calendar. I’ll admit – we are celebrating it a bit differently from when I was a child. We absolutely got Easter Eggs but the run up to Sunday (Holy Week) was much more traditional, as I was growing up. We aren’t as traditional, these days! I’m okay with that. But I’m not a fan of all the commercialism. I think many of you will be with me on that – who really wants to run the gauntlet, for a whole MONTH, in the supermarket, with 100’s of eggs stacked high, for little eyes and hands to see? How we celebrate Easter, as a family and within our home, is our responsibility, and when Reuben is ready to understand more I’ll do my best to help him engage with the faith story we hold dear. As important as Easter is to me and my faith, I struggle to watch the Passion of Christ, I just cannot bear to see the crucifixion on-screen. This YouTube video is about as close as I come to it. The song, by Sara Evans and Brad Paisley, gets me every time. It brings the events, of this Friday 2000 years ago, just that bit closer. It makes me think of Mary. We talk about her a lot a Christmas, with the birth of Christ and her faith in saying “I am the Lord’s servant. May everything you have said about me come true”. Yet, at Easter I often forget about her. I guess because this story is not really hers. And yet it is. What must she have been going through as she looked on her son that day? What pain, anguish, sorrow, confusion and anger must she have felt? She must have wanted to rip the whip out of the soldier’s hands and save her son. You get a tiny picture into her world, as you watch her son being tortured and crucified in this video. As I mum, I imagine everything in her was torn apart with grief and terror, as all of this happened. In those torturous moments, none of this would have made sense to her – this wasn’t was it was meant to be, was it? Was this really the plan? Is this the best that God had for her boy? The boy, He had graciously given her, the boy she had carefully carried and protected, the boy she had raised, feed, bathed, loved and cherished. Was this really the special purpose that God had designed him, and her, for? 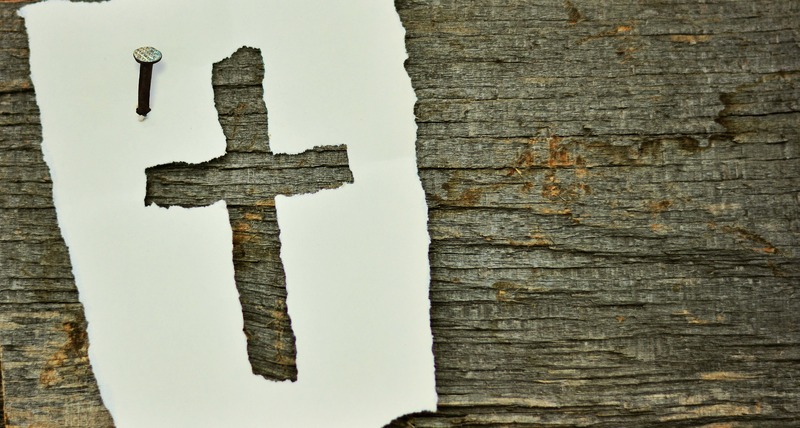 How could it be…he was nailed to a cross and all of her hopes and dreams for him were dying with him. This isn’t what she signed up for…is it? Whatever happens, whatever you see. Whatever your eyes tell you has become of me. This is not, it’s not the end – I am making all things new again. Or maybe – “It’s okay.” “This is how it’s meant to be.” “Trust me.” “Things are about to change forever – just wait and see what’s going to happen next!” And yet, I am not convinced, that in the heat of these horrendous moments, Mary couldn’t even begin to grasp that truth – I know that I couldn’t. In thinking of Mary, I can’t help but be drawn to think of another. The other parent who was present on that day – GOD. What must it have been like for him to watch His son suffer like this? Not only must He have wanted to rip the whip from the soldier’s hands but He also had the power to do it…and yet He didn’t. He stayed still and silent. He sat on his hands, He turned his head, He refused to act – however you say it, to those watching, He did nothing. How? Why? Because this was HIS plan. He is making “all things new again”. He was thinking of me, He was thinking of you, He was thinking of all creation. He was setting the record straight and giving us all a fresh start. It came at a price, a high price – one I couldn’t pay nor one I would want to have to pay, when I look at what it cost Jesus. I cannot put into words how thankful I am that he stood in my place and removed that punishment from me. Today is Good Friday. Really? Good Friday? Yes, for me, today is Good Friday. He took my sin and my sorrow, He made them his very own. He bore my burden to Calvary and suffered and died alone. He willingly did that for me. He willingly did that for you. It’s Good Friday because God completed His plan to pay my debt once and for all, never to be required or requested again. It’s Good Friday because Jesus said “It is finished” – the deal is done and freedom is won – death has lost its power and I am free. It’s Good Friday because Sunday it coming. It’s Good Friday because God is making “all things new”.